Seems like every day there is a new no contract plan coming to the surface, and today is no different. Aio Wireless (a new no-contract service provider and subsidiary of AT&T) is currently launching in three cities — Houston, Orlando and Tampa. 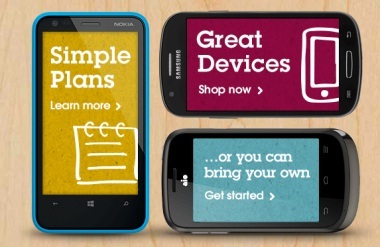 Plans range from $35 to $70 a month, and devices offered certainly vary in price. 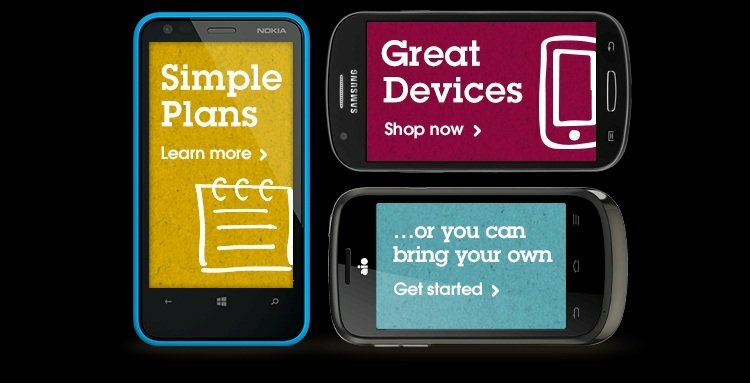 A few smartphone options include the new Nokia Lumia 620 for $179.99, the iPhone 5 for $649.99, and Samsung Denima for just $29.99. Remember, there are no contracts or subsidies for these phones, which is why you see such the wide range of pricing. We talked with no-annual-contract customers and created our service around what they want. They want simple, easy plan choices with unlimited offers; first-class service at affordable prices; great devices; nationwide voice and data coverage; and no annual contracts. Today’s wireless customers don’t want to compromise. We are set up to win over value-conscious customers who are increasingly moving towards smartphones and mobile broadband. Just like T-Mobile, AT&T’s Aio Wireless is offering unlimited data with all its plans, but will be pricing the different options based on how much of that data users want at full speed. The largest plan offers 7GB of high-speed data for $70, while a smaller 100MB plan costs $35 a month. We have heard that plans are expected to roll out across the US over the next year. If your interest has been peaked and you’d like more information, check out their link here.